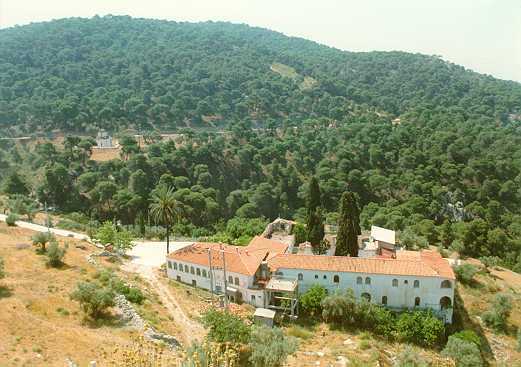 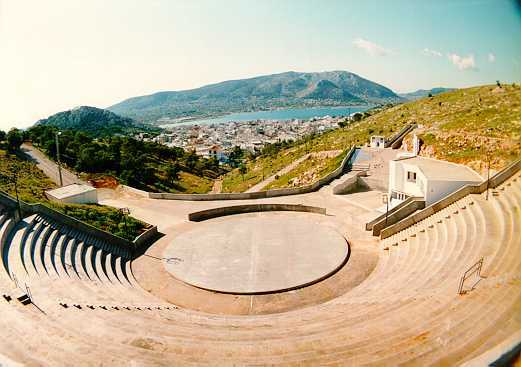 'Eyripidio' amphitheater on 'Patris' hill overlooking Koulouri Bay. 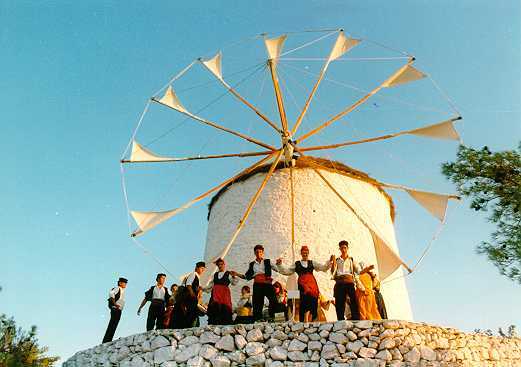 Today's youth dancing around the restored windmill. 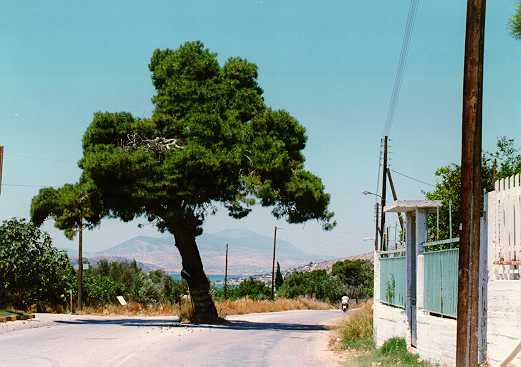 150 year-old pine-tree in the middle of the country road! 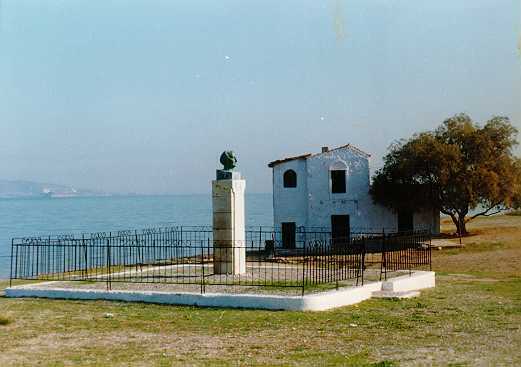 The poet Angelos Sikelianos' bust by his inspiring place.